Synopsis of Pope Benedict XVI's Book "Jesus of Nazareth"
ROME, APRIL 15, 2007 (Zenit.org).- Here is the synopsis of Benedict XVI's book "Jesus of Nazareth," released by the Italian publisher Rizzoli, which has handled worldwide sale of the rights to the work. This book is the first part of a work, the writing of which, as its author states, was preceded by a "long gestation" (Page xi). It reflects Joseph Ratzinger's personal search for the "face of the Lord" and is not intended to be a document forming part of the magisterium (Page xxiii). "Everyone is free, then, to contradict me," the Pontiff stresses in the foreword (Page xxiv). The main purpose of the work is "to help foster [in the reader] the growth of a living relationship" with Jesus Christ (Page xxiv). In an expected second volume the Pope hopes "also to be able to include the chapter on the [infancy] narratives" concerning the birth of Jesus and to consider the mystery of his passion, death and resurrection. It is primarily, therefore, a pastoral book. But it is also the work of a rigorous theologian, who justifies his assertions based on exhaustive knowledge of sacred texts and critical literature. He underlines the indispen¬sability of a historical-critical method for serious exegesis, but also highlights its limits: "Admittedly, to believe that, as man, he [Jesus] truly was God exceeds the scope of the historical method" (Page xxiii). And yet, "Without anchoring in God, the person of Jesus remains shadowy, unreal, and unexplainable" (Schnackenburg, "Freundschaft mit Jesus," Page 322). In confirming this conclusion of a notable Roman Catholic representative of historical-critical exegesis, the Pope states that his book "sees Jesus in light of his communion with the Father" (Page xiv). In addition, based on "reading the individual texts of the Bible in the context of the whole" -- a reading that "does not contradict historical-critical interpretation, but carries it forward in an organic way toward becoming theology in the proper sense" (Page xix) -- the author presents "the Jesus of the Gospels as the real, 'historical' Jesus," underlining "that this figure is much more logical and, historically speaking, much more intelligible than the reconstructions we have been presented with in the last decades" (Page xxii). For Benedict XVI, one finds in the Scriptures the compelling elements to be able to assert that the historical personage, Jesus Christ, is also the Son of God who came to Earth to save humanity. In page after page, he examines these one by one, guiding and challenging the reader -- the believer but also the nonbeliever -- by way of an enthralling intellectual adventure. Grounding his core premise on the fact of the intimate unity between the Old and the New Testament, and drawing on the Christological hermeneutics that see in Jesus Christ the key to the entire Bible, Benedict XVI presents the Jesus of the Gospels as the "new Moses" who fulfills Israel's ancient expectations (Page 1). This new Moses must lead the people of God to true and definitive freedom. He does so in a sequence of actions that, however, always allow God's plan to be anticipated in its entirety. The Baptism of Jesus in the River Jordan is "an acceptance of death for the sins of humanity, and the voice that calls out, 'This is my beloved Son,' over the baptismal waters is an anticipatory reference to the Resurrection" (Page 18). Jesus' immersion in the waters of the River Jordan is a symbol of his death and of his descent into hell -- a reality present, however, throughout his life. To save humanity "He must recapitulate the whole of history from its beginnings" (Page 26), he must conquer the principal temptations that, in various forms, threaten men in all ages and, transforming them into obedience, reopen the road toward God (Chapter 2), toward the true Promised Land, which is the "Kingdom of God" (Page 44). This term, which can be interpreted in its Christological, mystical or even ecclesiastical dimension, ultimately means "the divine lordship, God's dominion over the world and over history, [which] transcends the moment, indeed transcends and reaches beyond the whole of history. And yet it is at the same time something belonging absolutely to the present" (Page 57). Indeed, through Jesus' presence and activity "God has here and now entered actively into history in a wholly new way." In Jesus "God ... draws near to us ... rules in a divine way, without worldly power, rules through the love that reaches 'to the end'" (Pages 60-61; John 13:1). The theme of the "Kingdom of God" (Chapter 3), which pervades the whole of Jesus' preaching, is developed in further depth in the reflection on the "Sermon on the Mount" (Chapter 4). In the Sermon Jesus clearly appears as the "new Moses" who brings the new Torah or, rather, returns to Moses' Torah and, activating the intrinsic rhythms of its structure, fulfills it (Page 65). The Sermon on the Mount, in which the beatitudes are the cardinal points of the law and, at one and the same time, a self-portrait of Jesus, demonstrates that this law is not just the result of a "face-to-face" talk with God but embodies the plenitude that comes from the intimate union of Jesus with the Father (Page 66). Jesus is the Son of God, the Word of God in person. "Jesus understands himself as the Torah" (Page 110). "This is the point that demands a decision [...] and consequently this is the point that leads to the Cross and the Resurrection" (Page 63). The exodus toward the true "Promised Land," toward true freedom, requires the sequel of Christ. The believer has to enter the same communion of the Son with the Father. Only in this way can Man "fulfill" himself, because his innermost nature is oriented toward the relationship with God. This means that a fundamental element of his life is talking to God and listening to God. Because of this, Benedict XVI dedicates an entire chapter to prayer, explaining the Lord's Prayer, which Jesus himself taught us (Chapter 5). Man's profound contact with God the Father through Jesus in the Holy Spirit gathers them together in the "we and us" of a new family that, via the choice of the Twelve Disciples, recalls the origins of Israel (the twelve Patriarchs) and, at the same time, opens the vision toward the new Jerusalem (Revelation 21:9-14) -- the ultimate destination of the whole story -- of the new Exodus under the guidance of the "new Moses." With Jesus, the Twelve Disciples "have to pass from outward to inward communion with Jesus," so as then to be able to testify to his oneness with the Father and "become Jesus' envoys -- 'apostles,' no less -- who bring his message to the world" (Page 172). Albeit in its extremely variegated composition, the new family of Jesus, the Church of all ages, finds in him its unifying core and the will to live the universal character of his teaching (Chapter 6). To make his message easier to understand and indeed to incorporate that message into daily living, Jesus uses the form of the parable. He comports the substance of what he intends to communicate -- ultimately he is always talking about his mystery -- attuned to the listener's comprehension using the bridge of imagery grounded in realities very familiar and accessible to that listener. Alongside this human aspect, however, there is an exquisitely theological explanation of the parables' sense, which Joseph Ratzinger highlights in an analysis of rare depth. He then comments more specifically on three parables, via which he illustrates the endless resources of Jesus' message and its perennial actuality (Chapter 7). The next chapter also centers round the images used by Jesus to explain his mystery: They are the great images of John's Gospel. Before analyzing them, the Pope presents a very interesting summary of the various results of scientific research into who the apostle John was. With this, as also in his explanation of the images, he opens up new horizons for the reader that reveal Jesus with ever-increasing clarity as the "Word of God" (Page 317), who became man for our salvation as the "Son of God" (Page 304), coming to redirect humanity toward unity with the Father -- the reality personified by Moses (Chapter 8). This vision is further expanded in the last two chapters. "The account of the Transfiguration of Jesus [...] interprets Peter's confession and takes it deeper, while at the same time connecting it with the mystery of Jesus' death and resurrection" (Pages 287-288). Both events -- the transfiguration and the confession -- are decisive moments for the earthly Jesus as they are for his disciples. The true mission of the Messiah of God and the destiny of those who want to follow him are now definitively established. Both events become comprehensible to their full extent only if based on an organic view of the Old and New Testament. Jesus, the living Son of God, is the Messiah awaited by Israel who, through the scandal of the Cross, leads humanity into the "Kingdom of God" (Page 317) and to ultimate freedom (Chapter 9). The Pope's book ends with an in-depth analysis of the titles that, according to the Gospels, Jesus used for himself (Chapter 10). Once again it becomes evident that only through reading the Scriptures as a united whole is one able to reveal the meaning of the three terms "Son of Man," "Son," and "I Am." This latter term is the mysterious name with which God revealed himself to Moses in the burning bush. 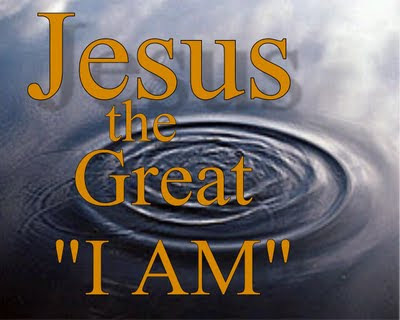 This name now allows it to be seen that Jesus is that same God. 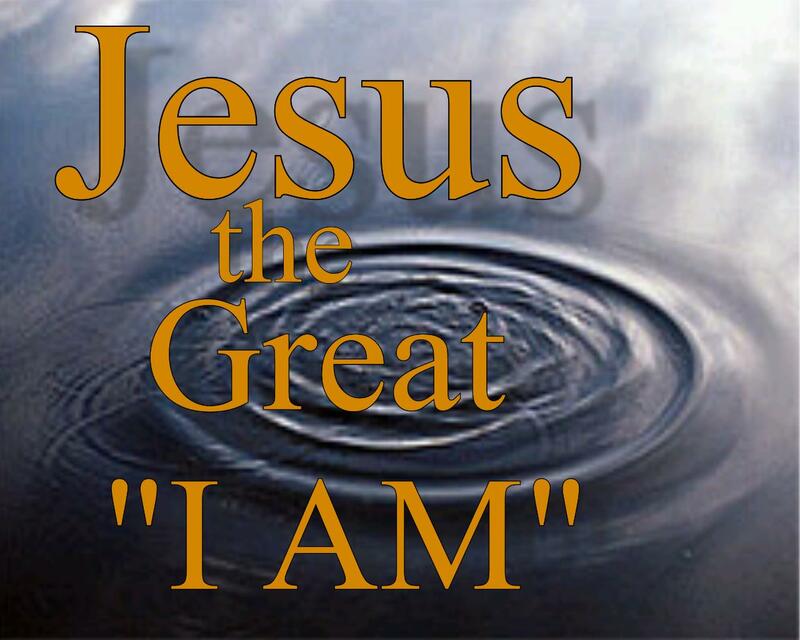 In all three titles "Jesus at once conceals and reveals the mystery of his person. [...] All three of these terms demonstrate how deeply rooted he is in the Word of God, Israel's Bible, the Old Testament. And yet all these terms receive their full meaning only in him -- it is as if they had been waiting for him" (Page 354). Together with the man of faith, who seeks to explain the divine mystery above all to himself; together with the extremely refined theologian, who ranges effortlessly from the results of modern doctrinal analyses to those of their ancient precursors, the book also reveals the pastor, who truly succeeds in his attempt "to help foster [in the reader] the growth of a living relationship" with Jesus Christ (Page xxiv), almost irresistibly drawing him into his own personal friendship with the Lord. In this perspective the Pontiff is not afraid to denounce a world that, by excluding God and clinging only to visible and tangible realities, risks destroying itself in a self-centered quest for purely material well-being -- becoming deaf to the real call to the human being to become, through the Son, a son of God, and thereby to reach true freedom in the "Promised Land" of the "Kingdom of God."